Nestled in the hills of Edgewood Drive, lies an endearing park most do not give second thought to. What if that second thought was given? Would you know anything about this quaint park on Charleston’s West Side? Majority —if not all— would say: no. Let me begin this tale by introducing you to Judge Henry Stuart Cato, LLB. Judge Cato was the youngest and only son of John Lane and Sarah Maury Cato of Saint Albans, WV. Cato was born February 26th, 1878 and began his career as an attorney, after attaining his law degree from WVU, in 1900 in Charleston, WV. Cato exceled as an attorney and by 1902 was a junior member of the law firm “Linn, Byrne, and Cato”. Cato formed a partnership in 1906 with Honorable Adam B. Littlepage and Thomas A. Bledsoe, under the firm name of “Littlepage, Cato and Bledsoe”. In 1911 Mr. Littlepage withdrew after being elected a member of Congress, and in 1917 Cato would leave as well after being appointed- by Governor Cornwell- Judge of the Tenth Judicial Circuit. Though when election came around for Cato’s appointed position, he found himself of the minority party (Democrat) and was defeated. It is said that as a lawyer, Mr. Cato was careful, clear-headed, systematic, vigilant, and thorough in his work; he exhibited the highest types of integrity, fidelity, and learning during his practice as a lawyer. 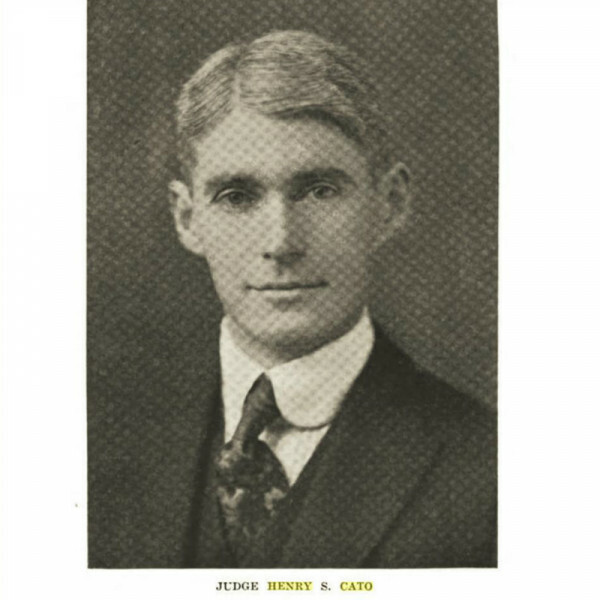 Henry S. Cato lived a long, purposeful life from 1878-1970. As he never married and his three sisters being unable to carry on the ‘Cato’ legacy, Cato still found a way to leave his mark on the city he worked so diligently in. Creating the “Cato Park Foundation” for the sole purpose of acquiring land “by purchase or otherwise and improving, developing and maintaining a suitable tract of land for the dedication and use as a municipal Park for the perpetual use, enjoyment and benefit of the residents of the City of Charleston and the general public” (Council Notes). Cato was “well known for his interest in the well-being of youth” (Charleston Daily Mail) and made it clear the City of Charleston would uphold his decree from his Last Will and Testament- ninth paragraph. Cato wanted the community to benefit from his park and ultimately ensure residents would have a place to enjoy themselves “free from any charge whatsoever”. Atkinson, George Wesley. Bench and Bar of West Virginia. VA Law Book Company, 1919- Lawyers. Peyton, Billy Joe. Historic Charleston: The First 225 Years. 19 November 2013. HPN Books. The City of Charleston- Clerk’s Office. Council Notes: 1 June 1970. Charleston Daily Mail. Henry S. Cato Obituary. 14 February 1970. Online Article.